You are buying 10+ Fresh seeds. 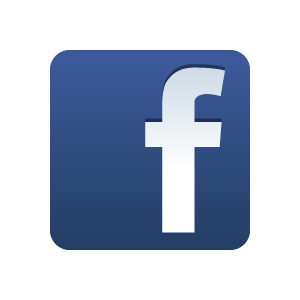 Larger quantities are available, check the drop down box near the ORDER button above. These are a 50/50 mix of the Purple Hyacinth Bean vine and the PURE WHITE Hyacinth Bean Vine (Lablab purpureus and Lablab purpureus 'Alba', also known as Dolichos lablab). I am really impressed with both the purple and white varieties of this vine and growing together they look GREAT! You can also plant separately if you wish, as the seeds are easy to tell apart. As they grow you get lovely, hunter green, heart-shaped leaves followed by tall flower spikes. 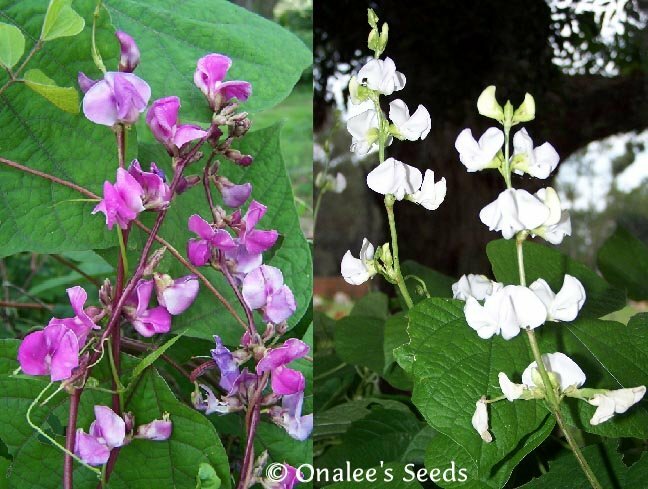 You'll have a mix of pure white and flowers that turn from a pink to a lovely purple color as they age - then the PI?CE DE R?SISTANCE on the purple vines: the large, deep purple seed pods! These seed pods really stand out against the lovely green foilage and are every bit as attractive as the flowers! 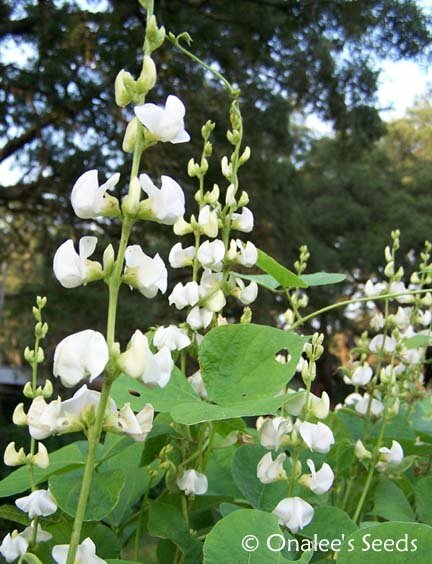 The white flowered vines have green seed pods, which kind of blend in with the foilage. Hyacinth beans are fun to grow, they are self-sowing annuals and can grow in full sun to partial shade and I've found them to be fairly drought tolerant once established. 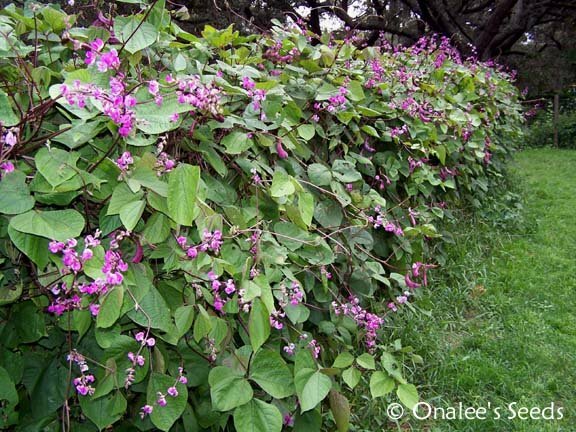 They sprout easily and grow quickly reaching 20 feet or more - a very vigorous vine and bloomer - blooming all summer to frost. It's been cultivated as a novelty plant in the U.S. for generations -- grown by Thomas Jefferson at Montecello! Grow these on your fence, arbor or even as a ground cover - a perfect heirloom vine for your cottage garden! Oh, and don't forget the butterflies, bees, hummingbird moths and hummingbirds that frequent the flowers - they'll love them, too!